Plant phloem tissue. 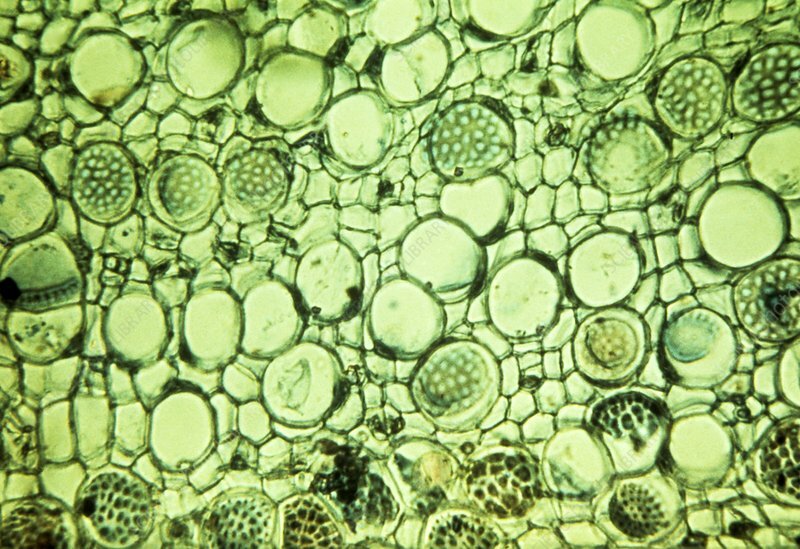 Light micrograph of a cross-section through a squash (Cucurbita) plant, showing sieve plates (meshed areas) in phloem tissue. Phloem is the part of a plant's vascular system responsible for the transport of sugars and other nutrients from the leaves to the roots. The sieve plates are the dividing barriers between sieve tubes, sections of phloem adapted to move nutrients around the plant.